Home care technology consultants, even publications like this one, direct much of their attention toward billing systems, medical record software, and peripherals such as telephony and electronic visit verification. While tools to operate a business efficiently are important, it would be a mistake to ignore the advances innovators are making in the development of technologies for use by patients. The organizers of Home Care 100 avoided that mistake this week at their 17th annual event. Here is a summary of tools they showcased that may be of primary interest to clinicians and others involved in direct patient care. Rendever is a Boston company with founders from MIT's AgeLab. 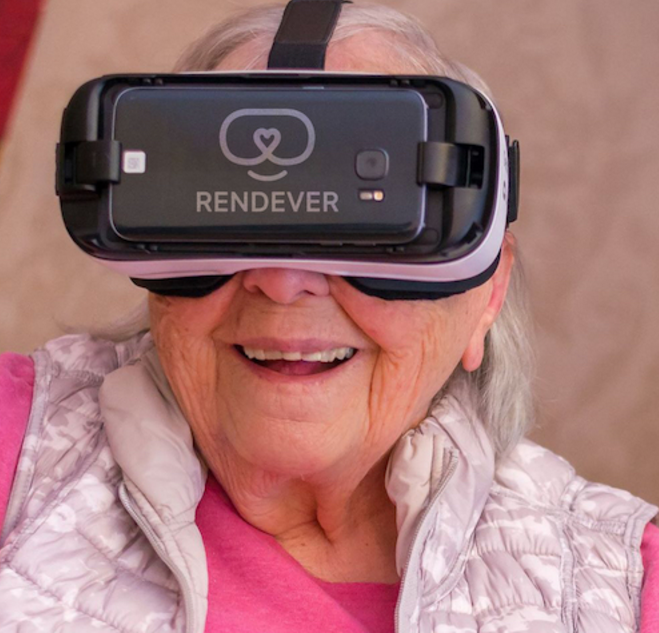 They have discovered through trials with residents of assisted living facilities that these popular virtual reality devices that are worn like goggles can have an engaging, energizing effect on otherwise sedentary seniors. Now they are introducing the product to home care and directly to consumers. Founding partner and CEO Kyle Rand shared a video of an elderly woman with early-stage dementia who had not interacted with anyone in months though she had previously been a gregarious, "life-of-the-party" personality. The way she came alive while inside the VR experience brought her caregivers to tears. In addition to VR scenes of beaches and forests and puppies, the Rendever system can display videos uploaded to their cloud from 360-degree cameras. Distant family members can record birthday parties and family picnics that grandma cannot attend and send the files through Rendever to her VR device. CEO Rand reported that seniors feel like they are present at the event. Even the closest post-acute care industry watchers have lost track of how many electronic medication dispensers have been introduced for home health patients and home care clients. The new one from Boston-based Pillo Health stands out from the rest. In addition to dispensing medications in the right dose at the right time, the Pillo device uses facial recognition to ensure it is dispensing to the right person. It includes some smart speaker features as well, talking to patients in a gentle, female voice. Messages include medication and appointment reminders and two-way communications with family and professional caregivers. Engineers have figured out a brilliant way to load a week's worth of medications. 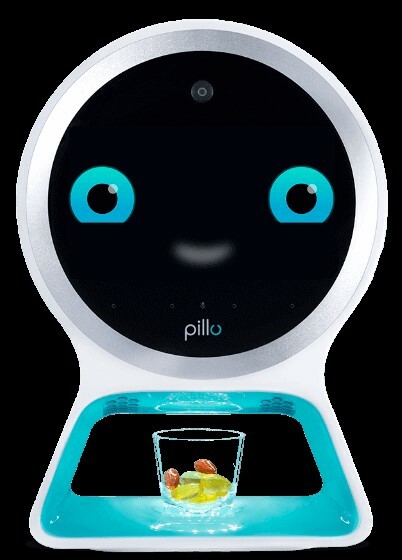 Once the regimen is programmed into the software, Pillo asks for each med by name as it turns its internal wheel so the cup for that med rotates to the top. The person filling the cups simply drops the pill into the specified slot. To make sure nothing goes wrong, a second camera inside the unit watches each cup as it is filled. Families can acquire a Pillo device and subscription for $499 plus $39.99 per month. Care organizations can benefit from volume discounts and can inquire about reseller programs. Last May, we interviewed the head of the health division of Uber and reported on the company's new service transporting people to doctor appointments, oncology treatments, and the like. (Meet Uber Health: Rides for Patients and Staff, 5/16/18) Now we met K.C. Kanaan, who co-founded a company that takes the service a step farther. Envoy America is a Scottsdale, Arizona company that provides rides for the elderly and others who are not able to drive. Kanaan told us that what separates his service from commercial shared ride companies is the additional assistance his drivers are instructed to offer. "We will often pick someone up at their home and find that they are bringing a walker, a wheelchair, or maybe an oxygen tank with them. Our drivers meet them at the door and help them load their devices into the car," Kanaan told us. "If we are taking them to the grocery store, our driver goes in with them and helps find the items they need and, as necessary, take them from the shelf to the shopping cart. When they get back home, maybe with a stop at the post office or hair salon, our driver helps carry the groceries into the house and put them away. 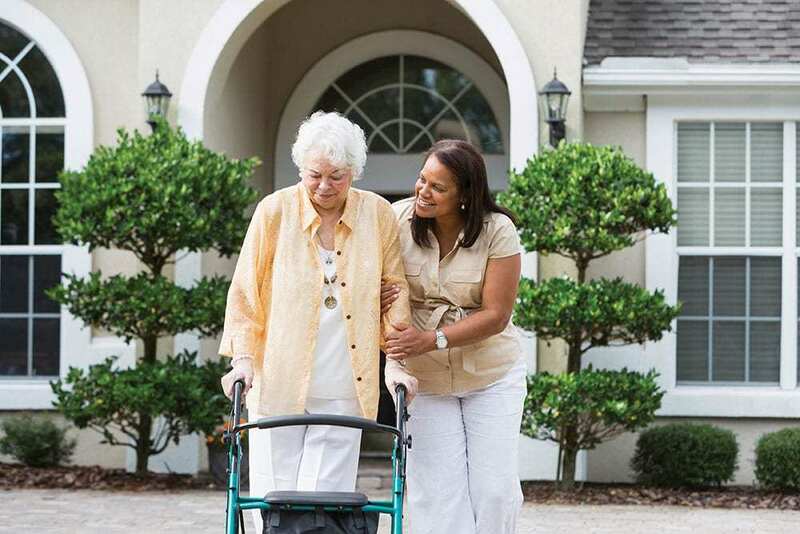 It is really a service that crosses the line from driver to home care aid." Envoy America partners with senior living facilities, non-medical home care providers, families, and religious institutions. To date, they have expanded to eleven states, Kanaan told us, with plans to continue to grow. Orbita is a conversational user experience platform that is device- and channel-agnostic. Developers use Orbita to build voice applications and chat bots that can be used on any smart speaker device, including Amazon's Echo, Google Home, analog phones, text messaging, mobile apps, web browsers, and augmented reality glasses. Pillo, mentioned above, uses Orbita as its artificial intelligence engine for its conversation function. Another Boston area startup with ties to MIT, Orbita's mission is to make it easy for organizations to create effective, Voice-First experiences that improve patient engagement and drive measurable results. If you remember when products like freeze-dried foods and Tang got their start when NASA tried them out on astronauts, you will understand the evolution of Hexoskin. 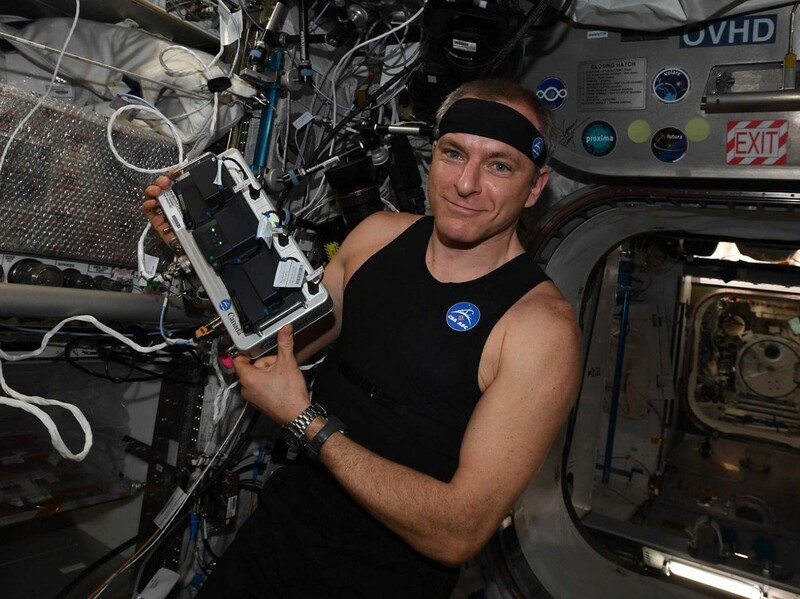 A Canadian company that has developed the next generation of wearable EKG, Hexoskin is preparing to launch from NASA and the Canadian Space Agency into the consumer market, for both wellness for active people and for persons with chronic conditions. The line of wearables, called Hexoskin Smart Garments, continuously track heartbeats (ECG), lungs, sleep, and activity data. Reports can be sent real-time to the wearer's smart phone or to distant clinicians or family members, or both. There have been at least two companies that trod this path before, one from California and another from Israel, but this new iteration seems to be lighter, more comfortable, and capable of more vital sign measurements. It can also be laundered (cold gentle cycle, drip dry). Hexoskin president Pierre-Alexndre Fournier told the Homecare 100 audience that his line of shirts, in addition to performing a full EKG, measures breathing rate and volume using "Respiratory Inductance Plethysmography," and a three-axis accelerometer for actography, step counting, and cadence. Fournier, who was wearing a Hexoskin shirt during his presentation, anticipates the wearables will be useful with CHF and COPD patients, whether they are under the care of a Medicare home health nurse or a home care personal assistant. "Today, there are 3.5 million people a year who should be in a cardiac rehab program but only about half a million are getting that level of care," he declared. "The main problem is access. There are not enough beds, so the care has to be delivered at home." He added that there may be codes that make Medicare funds available for services like the one his wearables offer, including up to $2,400 per year for monitoring. The shirt, which sells for $400 to $500 with the monitoring software -- and $169 for each additional shirt -- will of course be available in volume discounts to home care providers.